Doing the necessary backups before finally saying goodbye to Snow Leopard and a big, big hello to Lion. I hope I don’t chicken out again. Or maybe to chicken out is a good idea, since according to some reviews Lion isn’t that good at all. 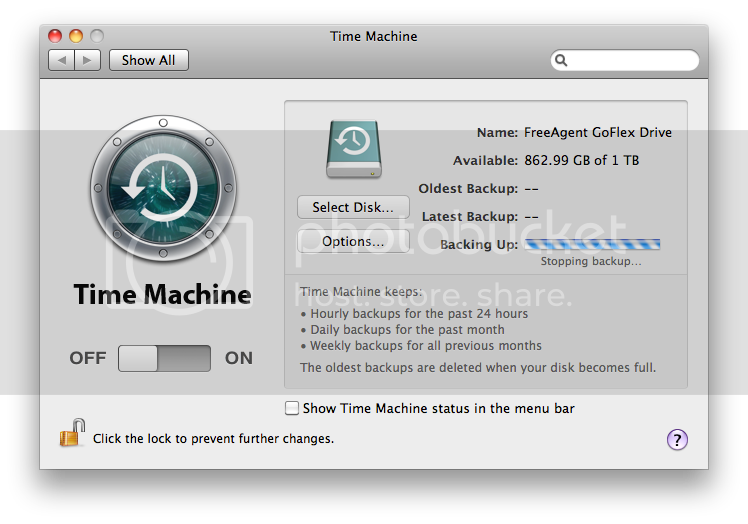 Yup, I’m using Time Machine for the very first time.